The thought that community members might hear an alternative view about the zoning implications of the city’s proposed Buffalo Green Code was apparently too much for Mayor Byron Brown. “His Honor” dispatched not one, but two members of the City’s Executive Department to attend and – it seems – do their best to commandeer the discussion: Nadine Marrero, the Mayor’s newly appointed Director of Planning [not to be confused with the Mayor’s Office of Strategic Planning], and Oswaldo Mestre Jr., the Mayor’s Director of the Division of Citizen Services. The alternative “Green Code” discussion was organized by two Buffalonians who care deeply about the wellbeing and future of their fellow residents – Lorna Peterson and Veronica (Ronnie) Nichols. The event – sponsored by the Fruit Belt/McCarley Gardens Housing Task Force – took place this past Thursday evening, September 18, at the Moot Senior Center at 292 High Street, in the heart of Buffalo’s Fruit Belt community. Director of Planning Marrero mentioned off-handedly that the Green Code is “more concerned about what a building looks like than what is happening inside.” That skin-deep approach to development may work well for the casual visitor, or someone merely interested in lunch or a shopping spree. But it is wholly inadequate for the people living in the neighborhood. While the “form” of buildings – especially their size and proximity to neighboring parcels – affects the character of a neighborhood or community, it is the type of activities which occur within and around that structure that has the greatest impact on the quality of life of nearby residents. The authors of the Draft Buffalo Green Code appear oblivious to this reality. It is possible to have “mixed-use” neighborhoods – as called for by the Green Code – without allowing commercial and non-residential uses on virtually every single residential block. The home is where the vast majority of people retreat for peace, quiet and privacy. Protecting the quality of life of city residents should be the top priority of any land use ordinance. The Green Code, as currently proposed, suggests a far different agenda when it provides business interests the opportunity to place restaurants, taverns, outdoor dining, live entertainment, professional offices, retail establishments, healthcare clinics, etc., etc., at the corner of residential streets. 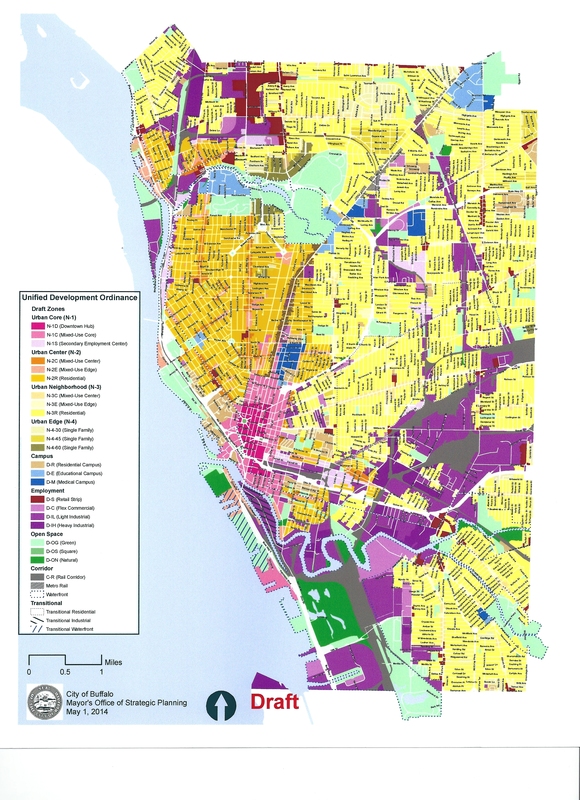 The City-sponsored presentations and workshops on the May 2014 version of the Draft Buffalo Green Code – which always include a lengthy PowerPoint presentation – have NOT included either a slide or other visual depicting the proposed land use map, or a discussion of the many non-residential uses proposed for virtually every residential street in the City of Buffalo. Perhaps, as Director of Planning Marrero insists, one of the presenters may have had a map at his or her table. But neither the public, nor any Common Council Member in attendance, was provided basic information needed to accurately assess the pros and cons of the zoning proposals. The authors of the Draft Green Code have NOT adequately justified their decision to ELIMINATE ALL MINIMUM PARKING REQUIREMENTS in the City of Buffalo. References are made to the current zoning code requiring too many off-street spaces, and the supposed wisdom of a “market-based” approach that trusts businesses to provide the number of off-street spaces their own customers will need. The “zero requirement” approach flies in the face of the many complaints the city receives from both its residents and existing businesses concerning the current lack of adequate on-street parking spaces. As proposed in the Draft BGC, new or expanding businesses will be tempted to construct larger buildings and skimp on off-street parking, compelling more and more vehicles to park on nearby residential streets. (a) If the BGC draftspersons truly cared about the character of existing residential neighborhoods, and understood the potential adverse impacts that can result from large-scale commercial activities, they would never have issued the May 2014 version of the BGC. As currently proposed, developers would be allowed to build a mixed-use facility, five-stories in height and 225-feet in length, with zero off-street parking requirements, in the Elmwood Village – monstrously large structures backing up to century-old residences on the adjoining streets. (b) If quality of life and the environment were top priorities, rather than say – Mayoral politics – the May 2014 version of the draft BGC would not have included a significant change from the Green Code draft issued in the spring of 2012. 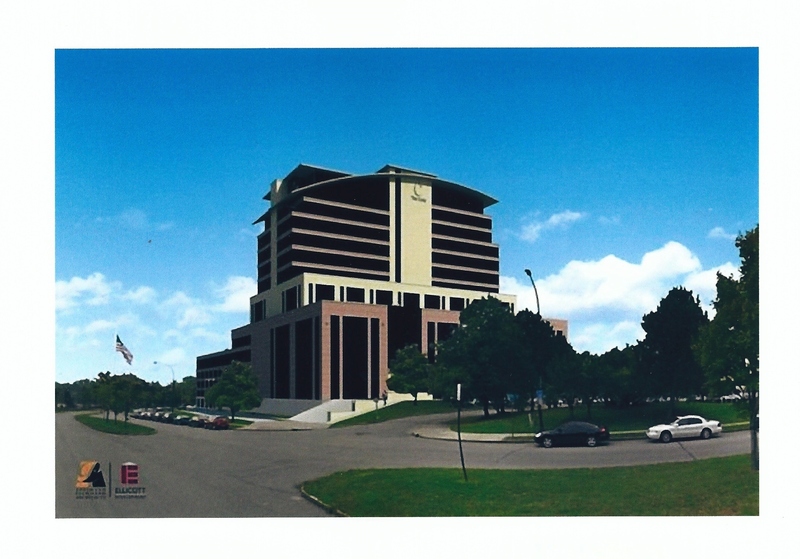 The earlier version of the draft Green Code would NOT have allowed Carl Paladino’s Ellicott Development Co. to construct a stand-alone, 14-story hotel/office/condominium project on prime waterfront property. Buildings at this location were conceived in the 2012 draft as “connected, moderate-scale mixed-use buildings with pedestrian-oriented frontages.” The current version, however, without any justification or discussion, added “towers” as one of the “building types” that would be allowed in the zoning district where Mr. Paladino plans to construct “The Carlo” tower. The “rogue ‘civilian’ sniper” at this past week’s alternative Green Code meeting boldly proclaimed that, unlike the City’s current zoning code, the Draft BGC protects McCarley Gardens, the low-income housing development located at the edge of the expanding Buffalo Niagara Medical Campus. Mayor Brown’s emissaries said nothing while sitting in the midst of Fruit Belt residents at an event sponsored by the Fruit Belt/McCarley Gardens Housing Task Force. 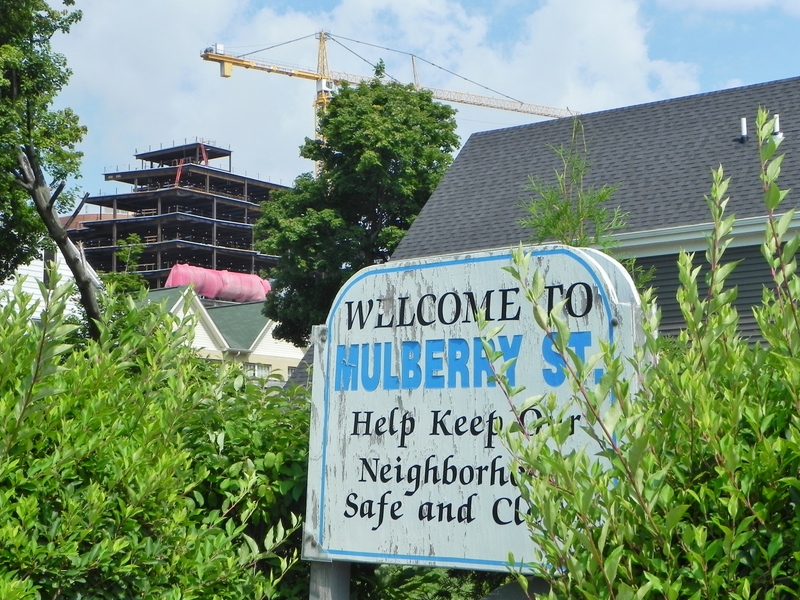 In fact, while the draft Green Code may classify the McCarley Gardens development as a “Residential Campus” [“D-R”], it does NOT protect the current residents from being pushed out of their homes to make way for a new and totally different “Residential Campus.” Not only does the BGC not prevent demolition of the existing low-income residential development, it provides a major incentive for developers to remove McCarley Gardens and replace it with an up-scale development that – as currently written – could include, for example: residential care facilities, cultural facilities, government offices, frat houses, a hotel, restaurants, taverns, outdoor dining, retail and service businesses [including “large scale”], medical clinics, professional offices, a “solar farm,” cell towers, etc. The Mayor’s representatives also remained silent when “Mr. Rogue” proclaimed that the draft Buffalo Green Code would protect the Fruit Belt from encroachment by the Buffalo Niagara Medical Campus. While the draft Green Code may provide an initial boundary for the medical campus, it does NOT – and cannot – guarantee that future rezonings will not expand the campus beyond the proposed boundary. More importantly, the draft Green Code’s lengthy list of non-residential uses and sizeable buildings that would be allowed in N-2E and N-2R zones will fuel the speculative purchase of properties and the intrusion of non-residential development, hastening the displacement of the current homeowners and tenants, and gentrification of the Fruit Belt neighborhood. The City of Buffalo’s existing zoning code had nothing to do with the unfortunate decision in the 1950s to build the Kensington Expressway, despite Mr. Mestre’s suggestion of a connection. The zoning laws neither called for, nor enabled, that determination. Members of the City’s Buffalo Green Code team have confirmed that they do confer with Buffalo’s business community in private sessions regarding the BGC. [We certainly wouldn’t want the business elite compelled to justify their positions concerning future development at a public forum.] As I have stated in my written communications with the BGC team, and as I told Director of Planning Nadine Marrero at the close of our alternative Green Code meeting, I would gladly sit down with her and the Executive Director of the Mayor’s Office of Strategic Planning, Brendan Mehaffy, to share my resident-oriented perspective on the Green Code.